Today, not only Japan but the whole world is facing the crisis of apocalypse. Claiming that Japan is the only hope and the breakthrough to establish a new plate of civilization, Jesu Noh shares the story about his discovery of a “new force” through finding inspiration in the spirit of wa in Japan in 1996, followed by his invention of a tool to use the force. 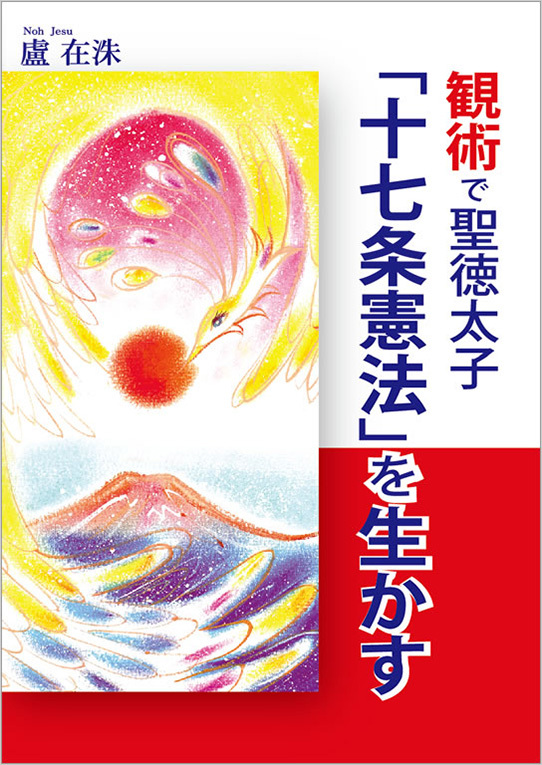 Along with Kanjutsu’s unique analysis of Sen no Rikyu’s Way of Tea and zen’s Ten Ox Herding Pictures, the book explains, with the spirit of wa, we can create a new way of living that elevates human dignity, and shows us a concrete direction toward establishing the base for a future society. “Harmony is to be valued” is a famous phrase that appears in the beginning of the Article 1 in the Seventeen Article Constitution. By fusing Buddhism, Shintoism, and Confucianism, Prince Shotoku, the author of the constitution, tried to materialize wa, which means compassion or peaceful cooperation in Japanese. Connecting and analyzing the constitution’s two most important concepts of wa and tou (a group of people or a party) with Kanjutsu, the new ninshiki (cognition) system Jesu Noh invented, the book emphasizes the world of wa is the key for reversing various problems and crises of today’s world and creating new professions and industries that everybody will respect and desire to get engaged in. Noh explains understanding and applying the spirit of wa with Kanjutsu to the modern age can change how a person views the world, and it will turn future Japan into a producer of entirely new values and a leading nation which can end all the historical and global current problems and challenges common to the entire human race. National Revolution proposes ascending human cognition is the way to break through despair and crises in our time. 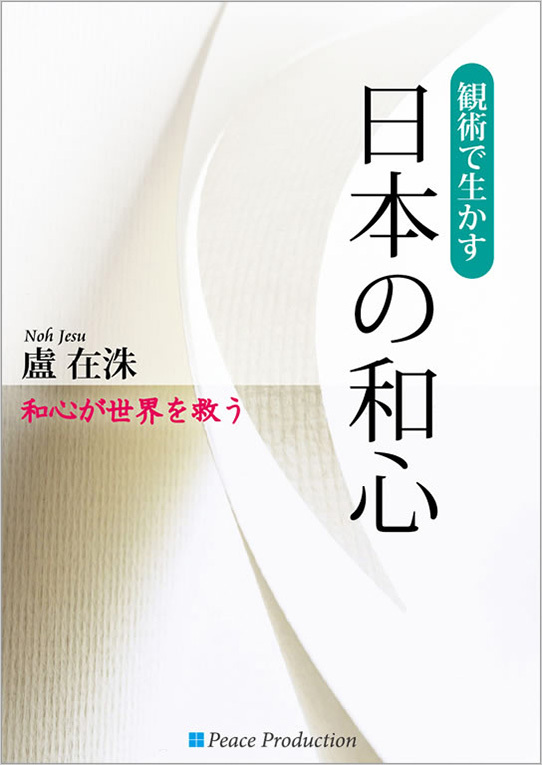 Jesu Noh tells us people who have obtained healthy minds through the ascension of their cognition can solve the crisis of real economy and monetary economy with ninshiki (cognition in Japanese) economic activities, meaning the growth and distribution value surpassed by the value of human dignity. The author claims it will lead to a birth of the “field,” or a new growth engine of our society, full of new hopes, inspirations, and challenges. How can the field nation define and overcome functional limits of the existing nations? Giving a clear answer to the question, Noh emphasizes the emergent need for building new civilizations and future societies based on the new meanings, values, and inspirations the field nation can offer. With a strong conviction, Jesu declares in this age waiting for the coming of the field nation as the brand of the times and the new paradigm, Japan has the biggest potential to become the field nation among other countries. In School Revolution, Jesu Noh writes the most important thing in breaking through despair of this age and enabling every individual to head toward hopes is to change the image of existing schools, education, and teachers. What do real schools teach? What is real education? The book paints the picture of a new education style that makes students see themselves as both teachers and students. By doing so, Noh claims students can come up with questions and get answers by themselves, which consequently nurtures their confidence and independence, as well as restores human dignity. Furthermore, the author overturns the fundamental image of what schools are by introducing a new shape of education termed “Business Life School,” with which a person can learn from everything in his or her life by changing daily habits and applying knowledge into practice, including business activities. “The school revolution as the brand of our time,” which educationalizes cooperations and corporatizes schools; this is what Noh has been offering to the world. Communication Revolution defines changing the fundamental image of communication as the key to solving any problems and communication ability as the most important thing in elevating and developing any individuals and organizations. Explaining the essence of a Japanese communication style called tatemae, in which people hide what they really think and say what someone wants to hear, Noh shares with us a clear process of dramatic improvement in communication ability by changing the image of communication. Mind Motion Revolution that gives birth to the most wonderful profession in history. Same old routines, impassiveness, loneliness, and so on; in this society of increasing isolation, how can we live a life with our minds always moved and inspired? Why cannot we live that way in the first place? The first volume of Mind Motion Revolution explains how to live a life filled with new discoveries and inspirations and the chain reaction of the power generated from individuals’ minds moved or touched in such life style can create changes of the whole society. The second volume offers a concrete process to materialize the ideal vision; by drawing the power of mind from people to set off the chain reaction, we can create a hopeful profession that establishes a new paradigm as the basis of new societies. According to Noh, such changes will activate the ninshiki (cognition in Japanese) industry which expands to form the fundamental sector before the other sectors of industry. He explains it eventually will trigger the renaissance of humanity, which he believes to emerge from the Japanese civilization. How can we solve various problems of today’s world and dilemmas of capitalism? Ninshiki (cognition in Japanese) Revolution is the book of hope which scientifically reveals everything, including economy, education and environment, is created by mind. Boldly claiming the limit of human abilities is in human cognition itself, Jesu Noh proposes solutions for the problems from the perspective of ninshiki. Noh declares Hitotsu Studies, a new study subject, can achieve a paradigm shift in people’s ninshiki, and the way to solve all problems will start from Japan. Copyright © 2019 Noh Jesu, All rights reserved.